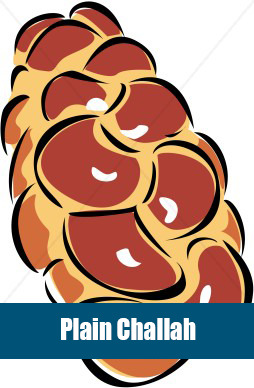 Fresh, delicious challah delivered to you every Friday for Shabbat from Anny's Bread Factory here in Miami . Available in an array of flavors (this is our basic PLAIN). SECOND half of the school year is $108 (18 Fridays). DEADLINE for orders: Friday, December 21st. First delivery of weekly challah: Friday, January 11th*; final delivery is Friday, May 31st. *During Checkout, please use the Notes box to identify the student to whom the challah order should be delivered. You may also identify a secondary student as backup.